"How to Improve your Trading "
A list of top dividend paying stocks is available at the bottom of this post. You can also read about interesting things about dividend yield formula here. Dividend analysis of TCS,I think you will like it as well. Before we look into the list of stocks, that let’s dig deeper into dividends. There are less takers of top dividend paying stocks in India. Do you know why? Because people like “capital appreciation” more. Why? Because its yield is generally higher. But does that make “dividend” less worthy? Not at all. What comes as a package with capital appreciation is “uncertainty”. Predicting capital appreciation is harder. But dividend income is more rational and predictable. Dividend’s yield may be low, but still it can be preferred. How? Some find it hard to believe that, there are investors who invest in stocks just for dividends. Why they can’t believe? Because of the magnitude of difference, in numbers. What are the numbers? Capital Appreciation: Stock’s yield can be like 12% p.a. Dividend income: Stocks yield can be like 2-3% p.a. If it is so, why there are people who anyways love dividend income? This is what we will discuss in this article. “Dividends” may not be as flashy as “capital appreciation”, but it still has its own place. In this article I will explain what makes dividend so special, irrespective of its limitations. Yield of dividend income can be low. But investors who invest in them does it with a different objective. Yes, people who buy dividend paying stocks are different. Why? Dividend income is more predictable. Capital appreciation is less certain. Champion investors like Warren Buffett love dividend paying stocks, why? High growth rate is a priority for majority. But expert investors prefer to have a balanced portfolio. Portfolio focusing only on capital appreciation may pose too high risk. Inclusion of dividend paying stocks has a balancing effect on ones investment portfolio. Expert investors love passive income. Dividend is one of the best form of passive income. How to generate dividend income? By buying dividend paying stocks at right price. What makes dividends, the best passive income? Number one reason is, they originate from equity. What makes equity-factor so special here? Equity yield can improve with time. A stock which is yielding 0.5% at the time of purchase, can yield much higher with passage of time. No of shares bought: 10 nos. Cost paid to buy TCS: Rs.1,320. Dividend paid in 2009: Rs.14/share. Total dividend income in 2009: Rs.140. Dividend yield in 2009: 10.6%. Suppose this person held on to his shares till year 2018. What will be his dividend yield as on Mar’18? Dividend paid in 2018: Rs.50/share. Dividend yield in 2018: 75.7%. If the example of TCS is looking to good to believe, let’s take a more submissive example. Suppose a person bought 10 nos shares of Hindustan Unilever Ltd (HUL) in 2009. Cost paid to buy HUL: Rs.2,390. Dividend paid in 2009: Rs.7.5/share. Total dividend income in 2009: Rs.75. Dividend yield in 2009: 3.15%. Suppose this person held on to HUL shares till year 2018. What will be his dividend yield as on Mar’18? No. of shares held in 2018: 10 nos. Dividend paid in 2018: Rs.20/share. Dividend yield in 2018: 8.36%. What does the above 2 examples of TCS and HUL suggest? Just by holding on to “good stocks” for long term (10 years), their dividend yield itself will become high enough to beat the returns of any debt instrument. Is it that easy? Buy dividend paying stocks, hold for long term, and that’s it? Yes it is this easy. 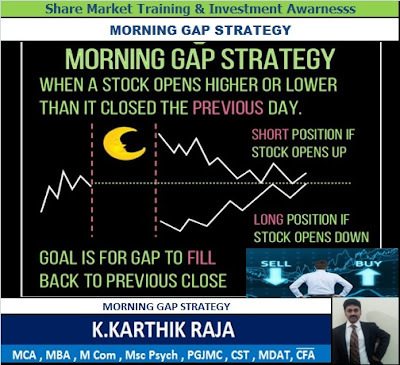 The only control point is, one must buy only “good stocks“. Not all stocks that pays dividends are good. If the criteria is assured income, all consistent dividend paying stocks must be a good buy, right? Dividend focused investors like to have one more check. Consistent dividend payout by companies are great, but it must also show growth. Dividend, which grows year after year makes it even more likeable. This is what makes companies like TCS and HUL a good dividend paying stock. Over a period of last 10 years, dividend trend of TCS and HUL shows a definitive growth trajectory. Do all companies pay growing-dividends to its shareholders? No. This is why identification of “good dividend paying companies” is not easy. The investors must take the time out and look into the financial reports of companies. #4. Why dividends are more predictable than capital appreciation? To understand this, we shall first understand what are dividends. Dividends are nothing but a part of companies net profit. A company which makes more profits, will pay higher dividends. Dividend payment is a process by which companies share its net profit, with its shareholders. When companies increase their dividend payouts, it is actually giving a hint that its profits are improving. Hence, growing dividend payout, year after year, is an indication of a fundamentally strong company. So what can we conclude here? Growth in “dividend per share” with time. Dividend paying companies are more confident about its future cash flows. Hence they dare to distribute large amount of PAT as dividends. Good dividend stocks offer 2 clear benefits to its investors. – First, they generate short term income. This income is both consistent and also grows. – Secondly, they also provide capital appreciation when held for long term. 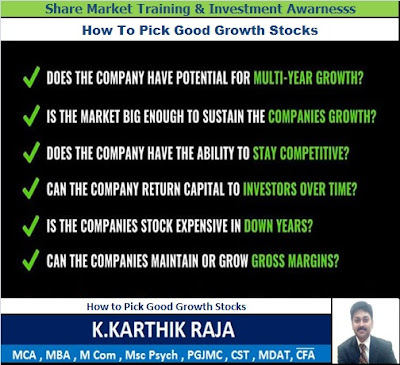 Which other investments can generate short term income? Debt linked, risk free options are available. These investment options can give a yield of 7.5% per annum. Whereas stocks can give only 3-4% in the beginning years. 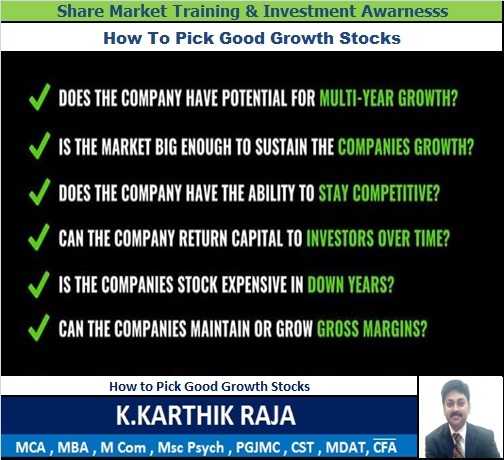 Why to invest in stocks? Initial yield of debt linked plans can be better than dividend yield of stocks. Income from debt linked plans are 100% taxable. Yield of debt linked plans cannot improve with time. Dividend received from stock holdings in India is almost tax free. Because, if dividend income exceeds Rs.10,00,000/year, only then it is taxable. Example: If you earned a dividend income of say Rs.10,50,000. You will be taxed only on Rs.50,000 @ flat 10%. Tax is levied only on excess amount over and above Rs.10 lakhs. So in this case, the tax liability due to dividend will be 10% of 50,000 = Rs.5,000 only. Another benefit of dividend paying stocks is its “potential growth”. This we have already seen above in examples of TCS and HUL. Price of dividend paying stocks are very stable. Historically, price of dividend paying stocks waver less than other stocks. We may not feel this benefit when market is fair. But when stock market crashes, dividend stocks stands tall. When everywhere there is a panicky, dividend stocks provides stability. People continue to hold on to dividend stocks even during market crash. The reason is simple, they continue to earn dividend even during market crash. Why? Moreover, dividend stocks are those stocks, which recovers faster after crash. So, instead of selling, people buy dividend stocks during market crash. This gives dividend paying stocks its price stability. #7. How investors can plan and earn higher dividend? It is possible to plan purchases of good dividend paying stocks. How to plan? Keeping a record of past dividend payouts by companies helps in planning. How? Investors can tract the dividend payout of their favourite stocks. Which record shall be maintained? Dividend payout suggests, what portion of PAT was paid out as dividend to the shareholders. Record keeping of “dividend payout %” will give a good insight. How? The above chart is showing a trend of dividend payout ratio for TCS and HUL. HUL: If HUL will follow this trend, most likely it will give 80% of its PAT as dividend to its shareholders in the next few years. So if we can extrapolate PAT of HUL for next 3-5 years, we will approximately know what can be a potential “dividend income” out of HUL. Similarly, let’s analyse the trend of TCS. TCS: If TCS will follow this trend, most likely it will give 35% of its PAT as dividend to its shareholders in the next few years. Though it will be only a guess work, but generally stable-companies try to mimic their past behaviours in normal times. A company which has a habit of paying 30% of their net profit in dividends, will continue to do the same in times to come. So this is first part of the planning process. Keep a note of how much percentage of net profits companies pay in form of dividends. 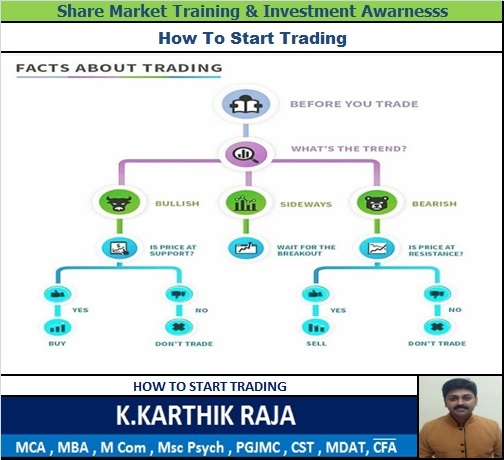 The second part of planning is to keep a track of market price of its stock. Suppose at a market price of Rs.100, a stock is yielding dividend of 2%. If the price falls to Rs.80, the same stock will show dividend yield of 2.5%. When price of stocks fall, its dividend yield becomes more attractive. During stock market crash, price of stocks fall by huge margins. During this time, investors can plan to accumulate good dividend paying stocks. #8. Consistent dividend payment is a great value indicator. How? Experts considers high dividend yield as a strong value indicator. If a quality stock is yielding high dividend, it is considered as undervalued. We know that, Improving sales and profit figures are one of the strongest fundamental indicators of quality stocks. High profitability and low debt dependency is just like an icing on cake. How much dividend a company pays to its shareholders gives a great hint about how the company is managing its sales, profits, and debt. Companies which shares its profits consistently (dividends) are confident companies. This confidence comes with predictability of future earnings. A good company, will never compromise its short term liquidity to please shareholders. Maintaining liquidity to pay its current liabilities is a top priority for any company. So if a company is paying dividends it means that liquidity is in full control. A company which is paying regular dividends must have sufficient liquidity to take care of its current liability. In India there are only few avenues to earn dividends. One of the well-known way is to buy dividend paying stocks. Another way is to buy dividend paying mutual funds. In Europe and America dividend paying exchange traded funds (ETF’s) are also available. At the moment India do not have such ETF’s. 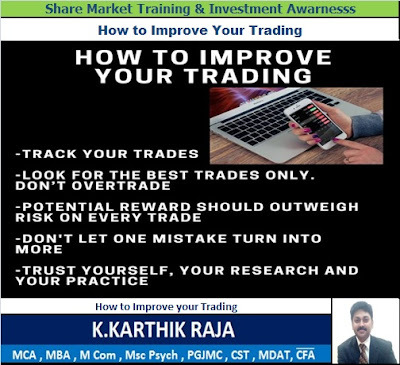 People can buy stocks using online trading account. These days mutual funds can also be purchased using online trading platforms. If one does not have it, then the easiest option is to call your bank. They will send investment agents who can arrange to buy dividend focused mutual funds for you. If dividend paying stock are so good, why everyone do not only buy them? Enough of only good things about dividend paying stocks. Here are some limitations of dividend focused investing. Some might think that high dividend yielding stocks are good. But “yield” is not a sufficient indicator to identify good dividend paying stocks. Stocks paying high dividend one year, and nothing the following year, is also not good. Consistent dividend payment is what is more interesting. It may happen that a stock is yielding 8% dividend. But the following year the yield falls to as low as 0.5%. This is what happens for majority companies. For majority stocks dividend yield is not more than 0.5-1%. 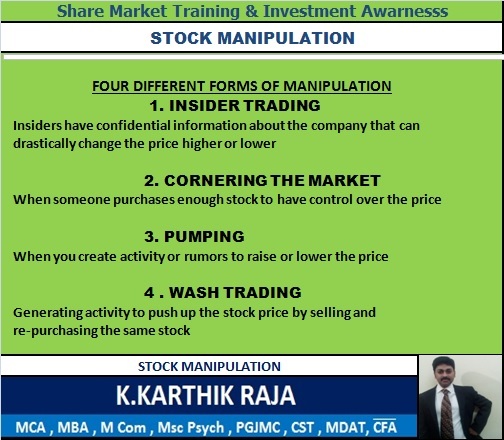 Investors target should be to buy stocks which pays consistent dividends. How to do it? Fluctuating dividend and weak fundamentals are the main hurdles of dividend focused investing. Couple of years back Strides Arcolab was yielding dividend close to 33% per annum. In Mar’14 it paid: Rs.505/share as dividend. In Mar’15 it paid: Rs.108/share as dividend. In Mar’15 it paid: Rs.4.0/share. In Mar’16 it paid: Rs.4.5/share. In Mar’17 it paid: Rs.2.0/share. In Mar’18 it paid: Rs.2.0/share. Strides Arcolab is not a bad company. But post Mar’15, its profits has gone down. People who bought this stock then, for dividend yield, must be feeling disappointed today. Hence, it is important to look at dividend yield, but in conjunction with other fundamentals like sales, profit, EPS, dividend payout %, etc. Extremely high dividend yields are often not sustainable. Reinvesting earned dividends will further increase the yield. 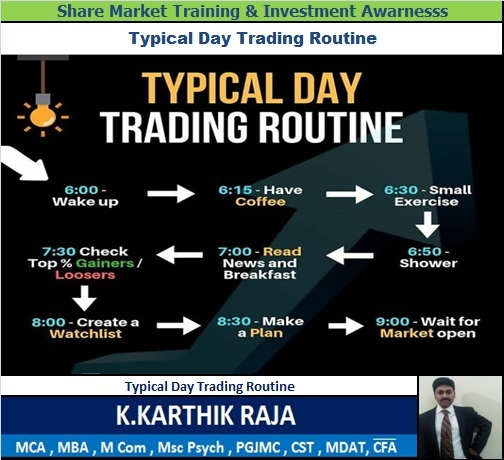 People must invest systematically to accumulate dividend stocks. Then the earned dividends from such stocks must be reinvested. It is important to reinvest the dividends that flows-in. 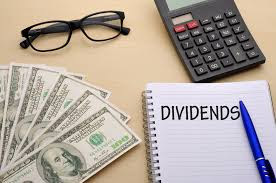 Use the dividend income to buy more “dividend paying stocks”. “More stocks means more dividends. More dividends means, more stocks purchase”. It becomes a a great wealth generating cycle. 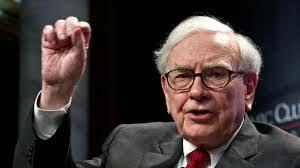 It is said that Warren Buffett earns billion dollars alone in dividends. Set a personal target for yourselves. In next five years, let your dividend income reach Rs 5,000/month mark. Lets start accumulating high quality, dividend paying Indian stocks. உலகிலேயே முழுக்க முழுக்க பங்குச் சந்தை முதலீடுகள் மூலம் மட்டுமே பணக்காரன் ஆனவர் நம் வாரன் பஃபெட். உலகின் டாப் 10 பணக்காரர்கள் பட்டியலில் தனி இடம் பிடித்து வாழ்ந்து வரும் முதலீட்டாளரும் நம் வாரன் பஃபெட் மட்டும் தான். இவர் இன்னும் (84 பில்லியன் டாலர் சம்பாதித்த பின்) ஸ்மார்ட் போன்களையும், அதி நவீன கம்யூட்டர்களையோ, 20 கணிணித் திரைகளைப் பயன்படுத்தி ஒரு பங்கின் விலையைக் கணிப்பது போன்ற எந்த வெலைகளில்லும் ஈடுபடுவதில்லை. அந்த காலத்து ஸ்டைலில் தான் இன்னும் வேலை பார்த்து வருகிறார். தான் வாங்க இருக்கும் நிறுவனங்களின் நிதி நிலை அறிக்கைகளையோ, ஆண்டறிக்கைகளையோ முழுக்க முழுக்க ப்ரிண்ட் அவுட் எடுத்து வரிக்கு வரி படித்தே முடிவு செய்வார். அவர் இருக்கும் விதத்தை எல்லாம் ஒரு பக்கம் வைத்து விடுங்கள். அவர் எப்படி நல்ல பங்குகளை (நிறுவனத்தின் பங்குகளை) வாங்குகிறார் என்பதைத் தான் இதில் பார்க்க வேண்டும். அதைப் பார்ப்போமா...? ஒரு பங்கின் விலை 2002 ஜூலை மாதங்களில் சுமார் 24 ரூபாய்க்கு வர்த்தகமாகி வந்தது. அந்த பங்குகள் இப்போது சுமார் 1375 ரூபாய்க்கு வர்த்தகமாகி வருகிறது. ஆக ஒரே ஒரு பங்கில் முதலீடு செய்து 17 வருடம் கத்திருந்ததால், கிட்டதட்ட55 மடங்கு லாபம். லாபம் என்றால் இப்படி இருக்க வேண்டும். இது தான் பங்குச் சந்தையின் பலம் என்கிறார் வாரன் பஃபெட். அதை சுருக்கமாக ''பங்குச் சந்தையின் பலம் அதன் கணக்கிட முடியாத அசாதாரண வளர்ச்சி தான். அதன் பலவீனமும் அதன் கணக்கிட முடியாத வீழ்ச்சி தான்" என்கிறார். ஆக சரியான தரமான பங்குகளை தேர்ந்தெடுத்து முதலீடு செய்ய வேண்டும். அதே போல் கணக்கிட முடியாத வளர்ச்சி பெற வேண்டுமென்றால், 100 சதவிகித வீழ்ச்சியையும் கூடச் சந்திக்கத் தயாராக இருக்க வேண்டும். என முதல் அட்வைஸில் தொடங்குகிறார் நம் வாரன் தாத்தா. "பெருசா நினைங்க, அப்ப தான் பெருசா சாதிக்கலாம். நீங்கள் நினைப்பது போல முதலீடுகள், முதலீடுகள் அல்ல. அது உங்களைக் காக்கும் சொத்துக்கள்" என்கிறார் வாரன் தாத்தா. அப்படி என்றால் என்ன என்கிறீரா..? அதாவது லாபம் சம்பாதிக்கும் எண்ணத்தை கைவிடுங்கள். சொத்துக்களை உருவாக்குங்கள் என்கிறார். பங்குச் சந்தை முதலீடுகளில் சொத்துக்கள் உருவாக்கம் என்றால் என்ன..? சொத்து உருவாக்கம் என்பது பங்குச் சந்தைகளில் முதலீடு செய்த அசல் தொகையில் இருந்து நமக்கு வரும் வருமானம் தான். அக அசல் அப்படியே இருக்கும். ஆனால் அதில் இருந்து வருமானம் மட்டுமொரு பக்கம் வந்து கொண்டே இருக்கும். ஒவ்வொரு ஆண்டுக்கோ அல்லது ஒவ்வொரு காலாண்டுக்கோ நாம் முதலீடு செய்திருக்கும் பங்குகளில் இருந்து வரும் ஈவுத் தொகை (Dividend) நேரடி வருமானங்கள். நாம் வைத்திருக்கும் பங்குகளுக்கு அறிவிக்கப்படும் போனஸ் பங்குகள் (Bonus Shares), பங்குப் பிரிவுகள் (Stock split) ஆகியவைகள் மூலமும் நாம் வைத்திருக்கும் பங்குகளைப் போல இன்னொரு மடங்குப் பங்குகள் கிடைக்கும். அந்த பங்குகளை விற்றும் வரும் வருமானத்தை மறைமுக வருமனங்கள் எனலாம். பங்குகளில் செய்த முதலீடுகள் மூலம் வரும் வருமானமாக கருதலாம். இப்படி பங்கு முதலீடுகள் மூலம் வரும் வருமானத்தைக் கொண்டு நம் வாழ்க்கையை நடத்திக் கொள்வது தான் சொத்து உருவாக்கம். கிட்ட தட்ட பங்குச் சந்தையை வங்கியில் போட்டிருக்கும் பிக்சட் டெபாசிட்டுக்கு ஒப்பாக பாதுகாப்பான பங்குகளில் முதலீடு செய்ய வேண்டும். சொத்துக்கள் உருவாக்கம் என வந்துவிட்டாலே நம்முடைய வளர்ச்சி, நம் முதலீடுகளின் வளர்ச்சி மடங்குகளில் இருக்க வேண்டும். சதவிகிதங்களில் அல்ல என்கிறார் தாத்தா. அதென்ன மடங்குகள். நான் 2017 ஜனவரியில் 100 ரூபாய் முதலீடு செய்தேன். இன்று 2019 பிப்ரவரியில் நான் முதலீடு செய்த பங்குகளின் விலை 300 ரூபாய்க்கு மேல். ஆக என் லாபம் 2 மடங்கு. இதைத் தான் வாரன் தாத்தா சொத்துக்கள் வளர்ச்சியை மடங்குகளில் பார் என்கிறார். ஒரே கடலில் தான் விலை உயர்ந்த டூனா (Tuna) போன்ற மீன்களும், கிலோவுக்கு ஐம்பது ரூபாய் விலை உள்ள சாதாரன மீன்களும் கிடைக்கிறது. ஆக உங்கள் குறி டூனாக்களுக்கு மட்டுமே இருப்பது நல்லது. சொத்து உருவாக்கத்தில் இத்தனை சதவிகிதம் சம்பாதித்தால் போதும் என்று திருப்திப்பட்டுக் கொள்வது கிலோவுக்கு ஐம்பது ரூபாய் மீன்களை பிடித்து விற்பதற்குச் சமம். ஆனால் நான் முதலீடு செய்த பங்குகள் இன்று சந்தையை விட 8 மடங்கு, 10 மடங்கு கூடுதலாக விலை அதிகரித்திருக்கிறது. சந்தையை விடம் 2 மடங்கு கூடுதலாக என் பங்கு விலை அதிகரித்திருக்கிறது என்பது தான் இங்கு முக்கியமாக இருக்க வேண்டும். அது தான் டூனா வேட்டை. இன்னக்கி வெள்ளிக்கிழமைங்க. ஏதாவது பார்த்து செஞ்சா நல்லா இருக்கும் என்கிற ரீதியில், பங்குச் சந்தைகளில் ஏனோ தானோ என வியபாரம் பார்க்க வேண்டாம். உங்கள் இலக்குகள் நீண்ட கால சொத்து உருவாக்கத்தில் இருக்கட்டும். காய்க்றிகள் வியாபாரம் போல அன்றாடம் காய்ச்சிகளாக பங்குச் சந்தைகளில் வியாபாரம் செய்யாதீர்கள். சுருக்கமாக இண்ட்ரா டே டிரேடிங்கில் கோடிஸ்வரன் ஆன வர்த்தகர்கள் இதுவரை உலகில் இல்லை. நீங்கள் இண்ட்ராடே டிரேடிங் செய்தால், உங்களின் தரகர் தான் கோடிஸ்வரர் ஆவார். பொதுவாக இண்ட்ரா டே ரேடிங்கில் ஒரு நாளில் போட்ட பணம் அத்தனையும் நஷ்டமடைவதில் தொடங்கி 10 - 12 ஆயிரங்கள் வரை கூட சம்பாதிக்கலாம். ஆனால் இதில் நஷ்டமடைபவர்களும், முதலுக்கு மோசம் அடைபவர்களும் தான் அதிகம். அதனால் தான் இன்ட்ரா டே டிரேடிங் நமக்கு சரிப்பட்டு வராது என வாரன் தாத்தா தன் அனுபவத்தில் இருந்து சொல்கி|றார். ஒரு முதலீட்டாளர் கூட்டத்தில் முதலீடு என் ஹாபி என ஒருவர் பேசத் தொடங்கிய் உடனேயே... "உங்களைப் போல சொந்த பணத்தில் விளையாடாதவன் நான். நான் எப்படி உங்கள் பொழுதுபோக்கு பணத்தைப் பெருக்க வழி சொல்ல முடியும்" என சிரிக்கிறார். "என்னைப் பொறுத்தவரை என் பணம் எனக்கு சீரியஸான விஷயம். அதை நான் சீரியஸாகத் தான் பார்க்கிறேன். அதன் வளர்ச்சி எனக்கு முக்கியம் என்கிறார்". சுருக்கமாக முதலீடு செய்வதை ஒரு ஹாபியாகச் செய்யாதீர்கள். ஹாபியாகச் செய்பவர்கள் தங்கள் முதலீடுகள் பெரிய வெற்ரி தர வேண்டும் என எதிர்பார்க்காதீர்கள் என்கிறார். இப்போது தான் 50,000 ரூபாயை பங்குச் சந்தையில் முதலீடு செய்யப் போகிறேன். அப்படி செய்வதற்கு முன்பே இந்தப் பணம் எனக்குத் திரும்ப வராது என்கிற நெகட்டிவ் எண்ணத்தோடு முதலீடுச் செய்யாதீர்கள். அப்படி முதலீடு செய்தால், உங்களுக்கு உண்மையாகவே நஷ்டம் வரப் போகிறது என்றால் கூட அந்த பணத்தை மதித்து சரியான முடிவுகளை எடுக்கமாட்டீர்கள். என்கிஆர் வாரன் பஃபெட். ஸோ உங்கள் பணத்தை முதலீடு செய்யுங்கள். முழு கவனத்தையும் முதலீட்டில் இருந்து சொத்துருவாக்கம் செய்யச் செலுத்துங்கள். ஒரே நாளில் ரோமாபுரி கட்டடப்படவில்லை. அதே போல் தான் பங்குச் சந்தை மூலம் சொத்துருவாக்கமும். நமக்கு எது சரிபட்டு வரும், சரிப்பட்டு வராது என்பவைகளை நீங்கள் தான் உணர்ந்து கொள்ள வேண்டும். ஒருவருக்கு பங்குச் சந்தையில் முன் கூட்டியே டிரெண்டுகளை பிடிக்கத் தெரியும். இன்னொருவருக்கு வந்த டிரெண்டில் நல்ல பங்குகளை கண்டு பிடிக்கத் தெரியும், இன்னொருவருக்கு டெக்னிக்கலான சார்ட்டுகளைப் பார்த்து நீண்ட காலத்துக்கு நல்ல பங்குகளை கண்டு பிடிக்கத் தெரியும், இப்படி எதில் நம் திறமை இருக்கிறது, என்பதை நாம் தான் உணர்ந்து கொள்ள வேண்டும். என்கிறார் வாரன் பஃபெட். மிக முக்கியமாக எல்லா நுணுக்கமும் எல்லா நேரத்திலும் செயல்படும் என எதிர்பார்க்காதீர்கள். எனவும் எச்சரிக்கிறார். பங்குச் சந்தையில் முதலீடு செய்வது என்பது ராணுவ வீரர்கள் எதிரிகளைத் தாக்குவது போலத்தான். முதலில் வீரர்கள் தங்கள் பாதுகாப்பை உறுதிபடுத்திக் கொண்டுதான் தாக்குதலுக்கு முற்படுவார்கள். அதுபோலத்தான் முதலீடும். முதலில் உங்கள் முதலீட்டின் பாதுகாப்பை உறுதிபடுத்திக் கொள்ளுங்கள். அதன்பின் அதிக லாபத்தை அடைய முதலீடு செய்யலாம். அதேபோல், சந்தையில் அதிக வருமானத்தைப் பெறவும், நஷ்டத்தைத் தவிர்க்கவும் எந்தச் சூத்திரமும் கிடையாது என்பதைத் தெளிவாகப் புரிந்துகொள்ளுங்கள். இன்றைய தொலைத்தொடர்புத் துறையின் அபரிமித வளர்ச்சியால் பங்குச் சந்தையில் ஒரு தலைமுறை என்பது மூன்று வருடமாகச் சுருங்கியுள்ளது. நீங்கள் நீண்ட கால முதலீடாக 5 - 7 வருடங்களுக்கு முதலீடு செய்கிறீர்கள் என்றால் அது இரண்டு, மூன்று தலைமுறையைக் கடந்து நிற்க வேண்டும். அப்படிப்பட்ட தரமான பங்குகளில் முதலீடு செய்ய வேண்டும். அப்படித் தரமான பங்குகள் நாம் எதிர்பார்க்கும் 10 ரூபாய்க்கும், 20 ரூபாய்க்கும் கிடைக்காது. சற்று அதிக விலை கொடுத்து வாங்கவேண்டி இருக்கும். சொத்துக்களை உருவாக்க சற்று அதிக விலை கொடுத்துதான் முதலீடு செய்யுங்களேன். ஒரு நிறுவனம் வருடத்துக்கு 26% வளர்ச்சி அடைகிறது என்றால், 10 வருடத்தில் அந்த நிறுவனம் 10 மடங்கு வளரும். அதேபோல் இந்தியாவிலேயே வெறும் 15% நிறுவனங்களின் பங்குகள் மட்டும்தான் நீண்ட கால முதலீட்டுக்குத் தகுந்த பங்குகள். உங்களால் எப்போது தூங்க முடியவில்லையோ, அப்போது நீங்கள் வாங்கிய பங்குகளை விற்றுவிடலாம். அந்தப் பங்கு லாபத்திலும் இருக்கலாம், நஷ்டத்திலும் இருக்கலாம். நீங்கள் வாங்குகிற நிறுவனங்கள் நீண்ட காலத்துக்கு எப்படி இருக்கும் என்பதைத் தெரிந்துகொள்ள அதன் விற்பனை, வருவாய் மற்றும் லாபம் எப்படி இருக்கிறது என்பதைக் கணக்கில் எடுத்துக்கொள்ளலாம். இவையெல்லாம் தொடர்ந்து அதிகரித்திருந்தால், தானாகவே அந்த நிறுவனத்தின் பங்கின் விலையும் அதிகரிக்கும். செக்டார் லீடர்களின் நிறுவன பங்குகளில் முதலீடு செய்யுங்கள். அவர்கள்தான் அந்தக் காலத்தின் ட்ரெண்டாக இருப்பார்கள். நம்மில் பலர், இருக்கும் ட்ரெண்டை விட்டுவிட்டு வரப்போகும் ட்ரெண்டை கணிக்கத் தொடங்குகிறோம். அதேபோல், செக்டார் லீடராக இருக்கும் நிறுவனத்தின் பங்குகளின் விலைகள் குறையத் தொடங்கினாலோ அல்லது தேக்கமடையத் தொடங்கினாலோ அந்த ட்ரெண்டின் தாக்கம் குறையத் தொடங்கி, வேறொரு ட்ரெண்ட் உருவாகத் தொடங்குகிறது என்று அர்த்தம். உங்கள் முதலீடுகளில் அல்லது மொத்த முதலீட்டுப் போர்ட்ஃபோலியோவில் 6 - 8 பங்குகளை வாங்கி அதைச் சரியாக நிர்வகிப்பதே பெரிய விஷயம். உங்கள் இஷ்டத்துக்கு 40 - 50 பங்குகளில் முதலீடு செய்கிரீர்கள் என்றால் நிங்கள் உங்கள் பணத்தை இழப்பதற்கு அதிக வாய்ப்புகள் இருப்பதை உறுதி செய்வதற்குச் சமம். உங்களால் 50 நிறுவனங்களின் நிதி நிலை, நிர்வாகப் பிரச்னைகள், 50 நிறுவனங்கள் தொடர்பாக அரசு கொண்டு வரும் கொள்கை முடிவுகள், இந்த 50 நிறுவனங்களின் எதிர்காலத் திட்டங்கள் என அத்தைனை விஷயங்களையும் பின் தொடர முடியுமா..? முடியும் என்றால் நீங்கள் தாராளமாக 50 பங்குகளை வாங்கலாம். ஆனால் எதார்த்தத்தில் இது முடியாத காரியம் என்பதால் ஐந்து பங்குகள் நல்ல சாய்ஸாக இருக்கும். எனவே உங்களுக்கான அந்த ஐந்து பங்குகளைக் கண்டு பிடியுங்கள் என்கிறார் வாரன் பஃபெட். மனிதர்களுக்கு எப்படி கால சுழற்சிகள் இருக்கிறதோ அதே போல முதலீடுகளுக்கும் ஒரு கால சுழற்சி இருக்கிறது. முதலீடுகளில் கால சுழற்சி என்றால் என்ன..? எனக் கேட்கிறீர்களா..? உதாரணத்துக்கு ரியல் எஸ்டேட்டை எடுத்துக் கொள்ளுங்கள். உலகம் முழுவதும் ரியல் எஸ்டேட் சொத்துக்களுக்கான கால சுழற்சி சராசரியாக 50 ஆண்டுகள். இந்த ஐம்பது ஆண்டுகளில் ஒரு முறை தான் 100 ரூபாய்க்கு விற்றுக் கொண்டிருந்த சதுர அடி நிலங்கள் எல்லாம் ஒரு குறிப்பிட்ட சில வருடங்களில் 200 ரூபாய்க்கு விற்பனை ஆகும். ஆக 50 வருடங்களுக்கு ஒரு முறை வரும் இந்த விலை உயர்வை நம்பி ரியல் எஸ்டேட்களில் முதலீடு செய்வது சரியாகாது. குரிப்பாக இப்போது 2005 - 2010 காலம் வரை உலகம் முழுக்க இருந்த ரியல் எஸ்டேட் விலை இப்போது இல்லை. கரனம் ரியல் எஸ்டேட் சொத்துக்கள் இப்போது அதன் வீழ்ச்சியை நோக்கிச் சென்று கொண்டிருக்கிறது. அக 50 வருடங்கள் கழித்து 2055 - 2060 வாக்கில் தான் இனி ரியல் எஸ்டேட் மீண்டும் நல்ல விலைக்கு விற்பனையாகும். அதற்கு மத்தியில் உங்கள் சொத்துக்களை விற்று பணம் பெற வேண்டும் என்றால் வந்த விலைக்கு தான் விற்க வேண்டும். அதோடு பதிவுக் கட்டணங்கள், சொத்துப் பிரச்னை, மூலதன ஆதாய வரிகள் என ஏகப்பட்ட செலவுகள் வேரு இருக்கிறதே..? ரியல் எஸ்டேட்டுக்கு 50 வருடம் போல, பங்குச் சந்தைகளுக்கு இந்த சுழற்சி வெறும் 8 - 10 ஆண்டுகள் தான். அதற்குள் ஒரு மிகப் பெரிய வளர்ச்சி மற்ரும் வீழ்ச்சியை சந்தித்து விடும். இதை புரிந்து கொண்டு முதலீடுகளை மேற்கொள்ளச் சொல்கிறார் பஃபெட். பங்குச் சந்தைகளுக்கு முதலீட்டுக் கால சுழற்சி எப்படி 8 ஆண்டுகளோ அதே போல் தங்கத்துக்கு (பொன்) உலகம் முழுக்க சராசரியாக 40 - 50 ஆண்டுகளாக இருக்கிறது. உலகில் நிலையான வளர்ச்சி கொடுக்கக் கூடிய முதலீடுகளில் தங்கமும் ஒன்று தான். ஆனால் பணவீக்கத்தை கழித்துப் பார்த்தால் தங்கம் அத்தனை சிறப்பாக ஒன்றும் செயல்படவில்லை. ஆனால் பங்குச் சந்தை தன் பணவீக்கத்தைத் தாண்டியும் வருமானத்தைக் கொடுத்திருக்கிறது. எனவே தான் பங்குச் சந்தை முதலீடுகள் ஒட்டு மொத்த ரியல் எஸ்டேட் மற்றும் தங்கத்தை விட சிறந்த முதலீடுகளாக கருதப்படுகிறது என்கிறா வாரன் பஃபெட். எனவே சொத்துக்களை உருவாக்க தங்கம் மற்றும் எஃப்டிகளை நம்பாமல் பங்குச் சந்தைக்கு வரச் சொல்கிறார். இந்த எஃப்டி போன்ற முதலீடுகளைக் கூட சொத்துகளை உருவாக்கிய பின் ஓய்வுக்காலத்தில் செய்ய வேண்டிய முதலீடுகளாக வைத்துக் கொள்ளச் சொல்கிறார்.